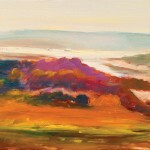 For 38 years and counting, Artexpo New York has been changing the way people buy and sell art. 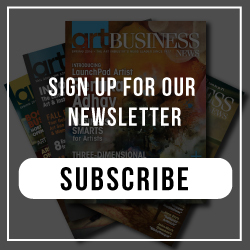 An annual juried art show, Artexpo brings the biggest publishers, galleries, and collectors face-to-face with hundreds of established and emerging artists. 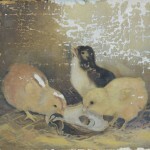 It is exactly what it claims to be: the world’s largest fine-art marketplace. 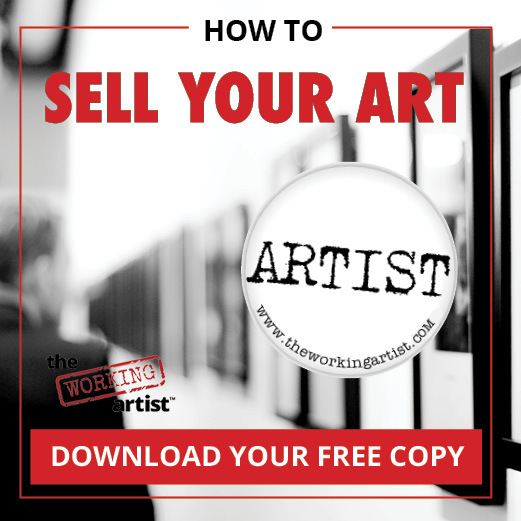 There, many of the world’s most renowned artists, including Andy Warhol, Peter Max, Robert Rauschenberg, Robert Indian, Keith Haring, and Leroy Neiman, launched their careers. 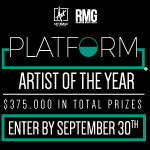 Which artists will get a chance at fame this year? 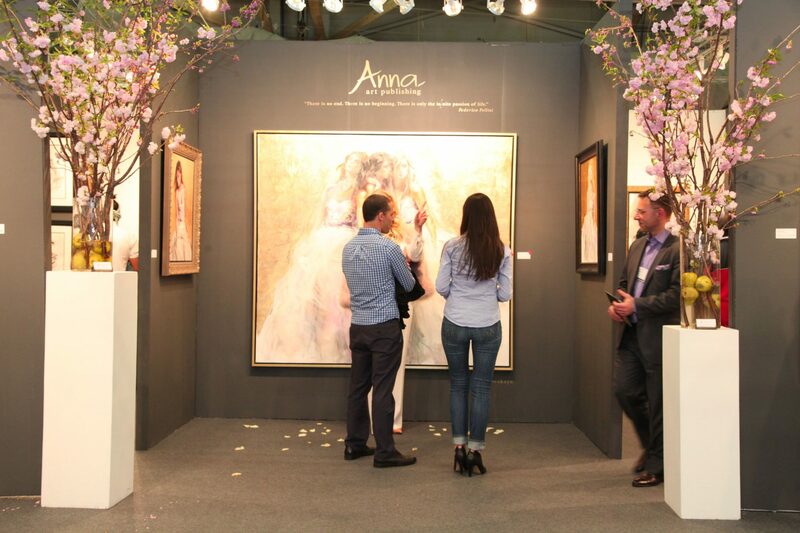 In 2016, Artexpo will host more than 400 innovative exhibiting artists, galleries, and art publishers from across the globe, showcasing exciting original artwork, prints, paintings, drawings, sculpture, photography, ceramics, giclées, lithographs, glass work, and more—all under one roof. 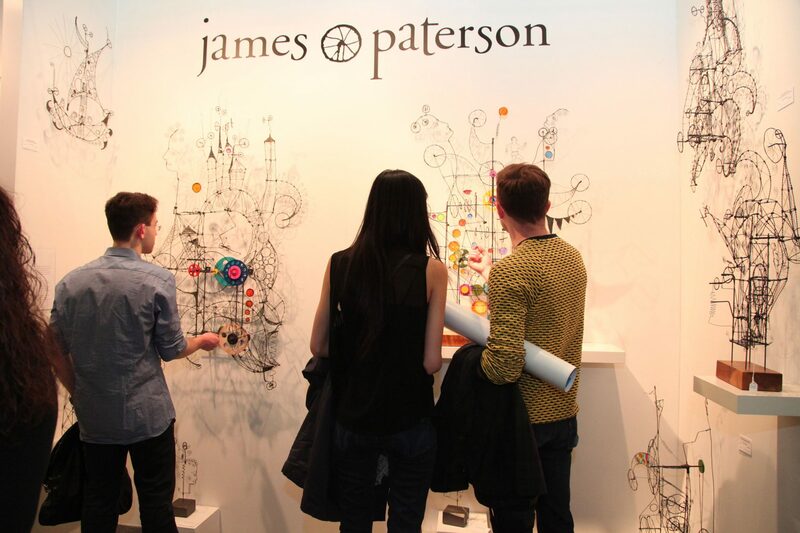 The show will take place from April 14–17 at Pier 94, New York City’s hub for art, fashion, and design events. 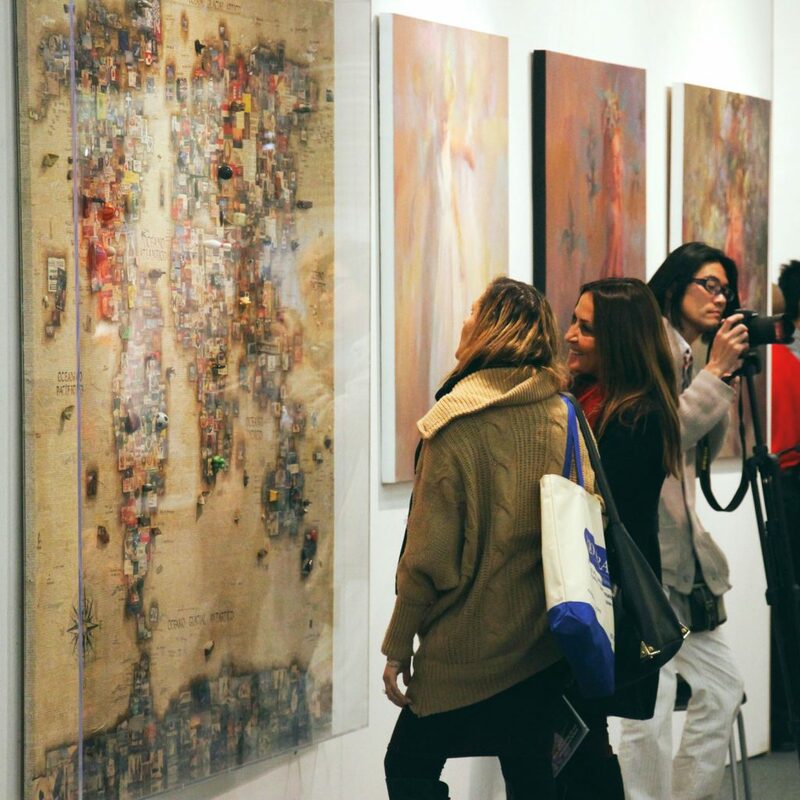 Each year, thousands of art-industry insiders flock to Artexpo New York in search of the art and artists that will shape trends in galleries worldwide. 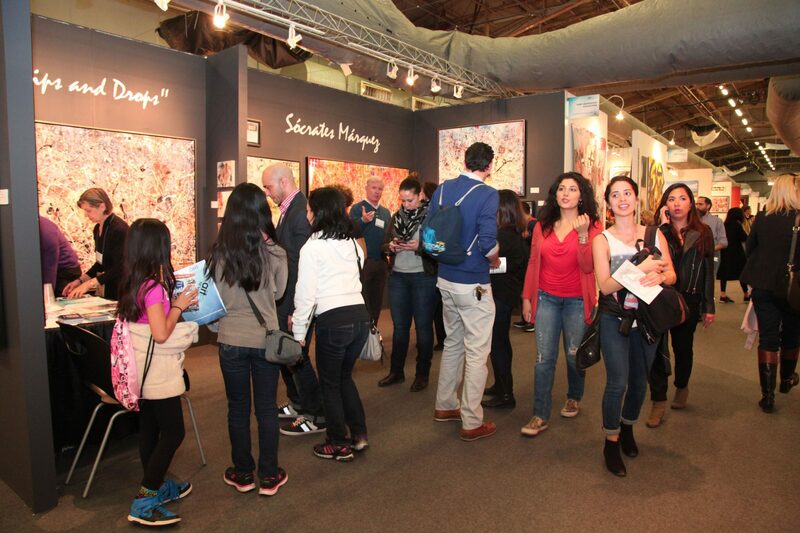 Annually hosting more than 28,000 avid art enthusiasts, it is also the largest international gathering of qualified trade buyers, including gallery owners and managers, art dealers, interior designers, architects, corporate-art buyers, and art and framing retailers. As in past years, Artexpo, a juried collection of global galleries, art publishers, and established artists, will colocate with [SOLO], a juried exhibition of innovative, independent artists from around the world. This year, Artexpo will also include [FOTO SOLO], which features collections of fine-art photography from the world’s finest abstract, contemporary, and realist photographers. [FOTO SOLO] thus echoes [SOLO]’s philosophy of supporting the career opportunities of independent artists. This year’s show is jam-packed with fabulous parties, live demonstrations, helpful seminars, and more. Thursday’s VIP Opening Night Preview Party from 4 to 7 p.m. will kick off the weekend and will include complimentary beverages, hors d’oeuvres, and entertainment, as well as the unveiling of the 2016 Poster Challenge winner. 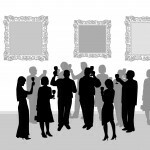 The soirées continue with Friday Night at Artexpo from 5 to 7 p.m., with more libations and chances to mingle with artists and gallery owners. Throughout the weekend, attendees will have a chance to get up close and personal with the artists during exclusive meet-the-artist events and demonstrations, and with thousands of artworks on display, they’ll be sure to find the piece of art they’ve been looking for. 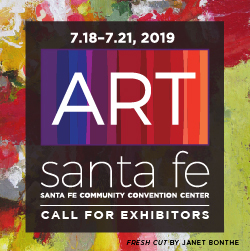 Alongside the three shows, the event features four days of cutting-edge Topics & Trends, seminars and conference classes offering expert perspectives on art and the economy, small-business management, art marketing, social media for artists, and other subjects. Free with admission, the series once again promises to be jam-packed with valuable information and ideas. Topics & Trends has something on the slate for everyone, with artists sharing experiences and expert advice in Art Talk sessions and industry experts giving practical advice on art licensing, event marketing, color trends, and design ideas. Favorite exhibitors will be in the halls again this year. 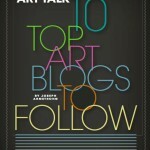 Mattson’s Fine Art, Art Design Consultants, Progressive Fine Art, Smart Publishing, and Artblend return with some of their most popular artists as well as new artists and collections to excite you. Favorite artists will include Socrates Marquez, Samir Sammoun, Brad Robertson, Louise Cutler, Nick Paciorek, James Paterson, and John Napoli, who will be there to greet attendees with their new collections. And you won’t want to miss the new [FOTO SOLO] extension of the [SOLO] pavilion, where some of the best fine-art photographers will be showcasing their amazing work. Put it on your calendar. It’s always a don’t-miss event, and this year won’t disappoint. It’s an unrivaled opportunity to see and buy great art, meet the artists, learn their stories, and enjoy all the excitement Artexpo has to offer. Thursday, April 14, 4 – 7 p.m.
Thursday, April 14, noon – 7 p.m.
Friday, April 15, noon – 7 p.m.
Saturday, April 16, 10 a.m. – 7 p.m.
Sunday, April 17, 10 a.m. – 6 p.m.